Clifford Davis, 88, of Cincinnati, passed from this life into his eternal rest on Saturday, January 26, 2019. 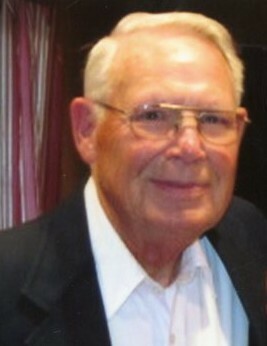 He was one of seven children born in Liberty, KY to Wade and Carrie (Barnett) Davis. Clifford is survived by his wife of 69 years, Mary Lou; his children, Barry (Christine) Davis of Bronston, KY and Sherry Brown of Vine Grove, KY. He is also survived by his sisters, Jewell Tedder of Tallula, IL and Jean Williams of Columbia, KY; 3 grandchildren, 1 great-grandchild and numerous nieces and nephews. He was preceded in death by his parents; brothers, Merle Davis, Cleo Davis and Charles Davis and sister, Lina Mae Smith.Clifford was a Veteran of the United States Army, serving his country honorably during the Occupation of Japan at the conclusion of WWII. He was a 64 year Mason and member of McMakin Lodge # 141 F&AM in Mt. Healthy, OH. He retired from GE Aircraft Engines in 1991. He served as a Deacon and Elder of New Burlington Church of Christ for many years and he and Mary Lou are members of Pleasant Run Church of Christ. Clifford enjoyed working in his garden and was happy to share his produce with family and friends. When he wasn’t in his garden he could be found working in the yard, garage or workshop, reading Western novels or playing with his grandchildren. He loved his family and enjoyed spending time with them more than anything else. He was a man of honesty, integrity, generosity and faith. Most of all, he was a loyal husband, father, grandfather, great-grandfather and friend to all whom he met. He will be greatly missed. Visitation will be held on Saturday, February 2, 2019 from 10AM until the time of the Funeral Service at 12PM at Paul R. Young Funeral Home in Mt. Healthy, OH. Burial will follow in Arlington Memorial Gardens. In lieu of flowers, the family requests that memorial donations be made to Hospice of Cincinnati or Pleasant Run Church of Christ.